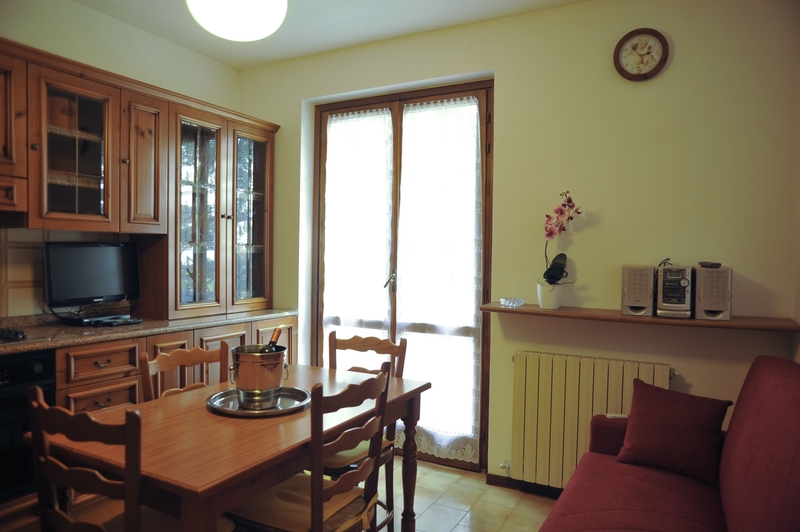 A small, bright apartment, which can accommodate up to 3 people, surrounded by greenery in a quiet residential area of the town, close to shops and restaurants, about 1000 m far from the historical centre easily reached by feet. The propriety has the garden and parking space. The flat is on the first floor with a large balcony that runs around the perimeter from which you can partially see the lake. Entering the apartment opens into a small hallway that leads to the left to the sleeping area equipped with a comfortable double bed, wardrobe and a small sofa, folding bed and air conditioning, to the right the daily area the kitchenette equipped with fridge, freezer, oven, kettle etc. and the living area with a sofa bed, a digital TV and the exit to the balcony. The bathroom is equipped with shower, wc, bidet, sink and washing machine. The property offers also the free and fast wi fi connection. Famous worldwide for its charm and its beauty, Bellagio is certainly Lake Como's most renowned holiday resort. Nestled at the intersection of the Lake's two main branches, Bellagio offers the visitor the unique chance to take in at a single glance a 360 degree view over this unique jewel of water, overlooked by dreamlike villas, scenic stairways that climb through the small lakeside shops and workshops, historic buildings and beautiful parks.